These pink quilted leather baby shoes for girls feature faux laces and a leather bow on the hook and loop ankle strap. 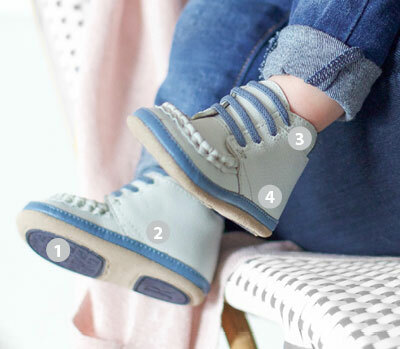 Designed to look like Mom's athletic sneaker, these shoes are perfect for your baby, infant or toddler as they take their first steps and begin to walk. These little shoes are very cute and of great quality. They stay on my daughter's feet and seem comfy as she is learning to walk. My baby is 12 months old. I purchased the 12-18 months size and they are a little bit big for her. Room to grow though. I am happy with them and would order again. 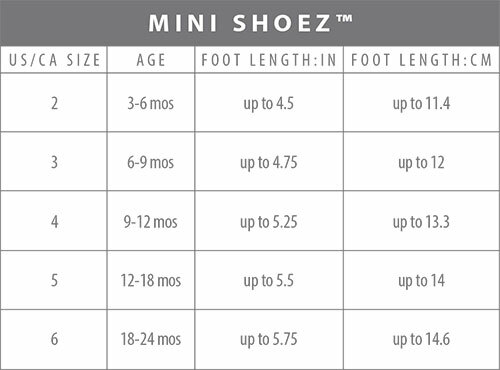 high tops out of style than when my children were babies but the PRIMROSE HIGH TOP BABY SHOES, MINI SHOEZ works fine as an inside shoe or outside shoe in non-winter weather. Grip works and the size 5 for my 14 mo old grand-daughter gives her the stability yet freedom her little tootsies need to keep up to her walking tricks. Was a bit more roomy than expected but give her some room to grow over summer time adventures outside. So how could I not get these for our girl??? lol. Cute, well made and easy to get on and off even though they are a high top. Liked them so much I bought them in 2 sizes! It really fit great on my daughter. It's the only pair of shoes that stay on her feet and they really look comfortable.